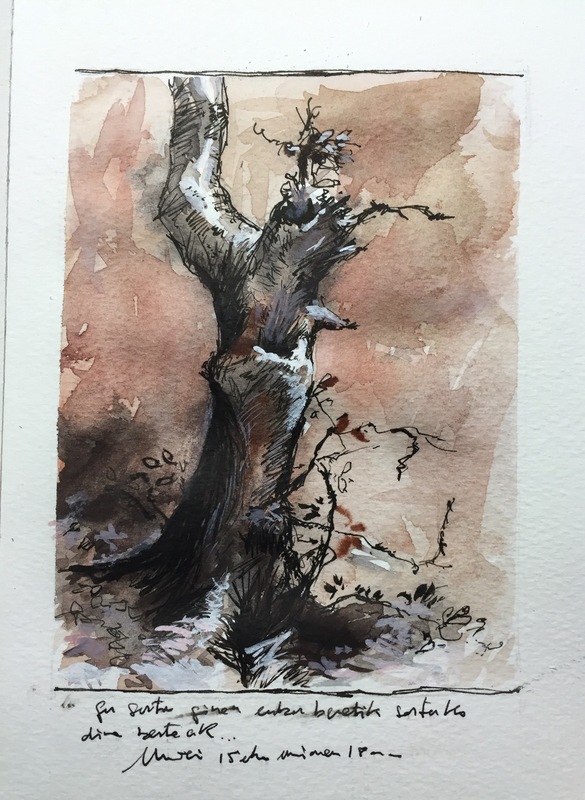 I like the warm color behind the tree, Basque Sketcher. Thank you very much, Leslie. Where are you from? How did you find my blog basquesketcher.com? I am from the US. I found your blog because a long time ago I either saw you on one of the wordpress pages with a post or you clicked you liked something of mine. I like your tonal sketches. I think you have a good eye for seeing landscapes in tonal quality. Its unique and interesting.